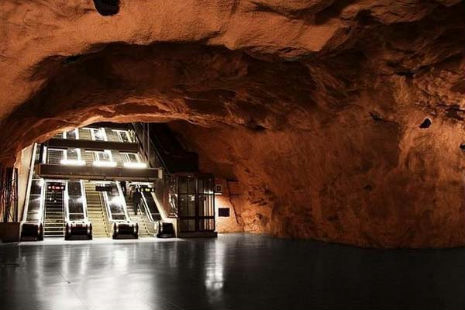 The escalators of the subway system in Stockholm (Sweden) are probably not what you are used to seeing on your daily commute. 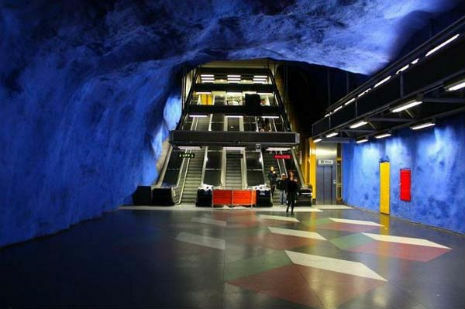 Many of the city’s stations have a special design that transforms a once bleak underground space into a colorful and charming feast for the eyes. 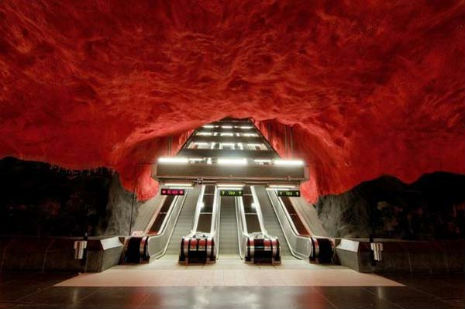 Who wouldn’t want to begin the day on such a scenic route? 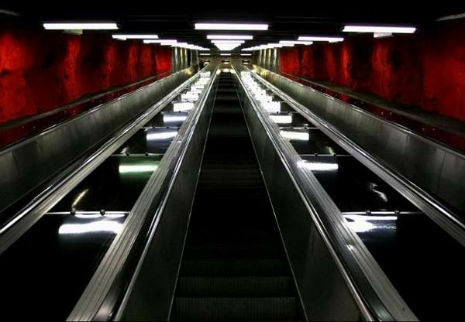 Here are some pictures of the escalators of the Stockholm metro. 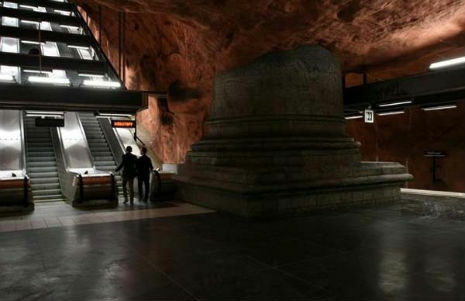 Click here for a video. Source: http://dangerousminds.net. Click here for full story.